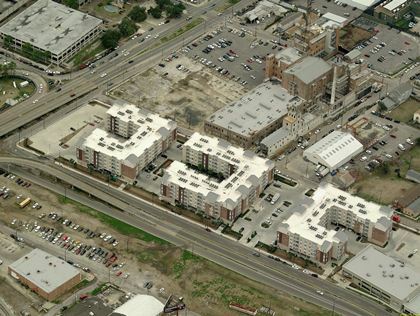 This project was the assemblage of residential lots on Tulane Avenue after Hurrican Katrina to offer retail shopping to residents of the newly completed nearby apartments. We represented Domain Companies who built several nearby apartments and forecast demand for retail which was in short supply. The project was complicated by the fact that few properties were occupied and owners were not to be found to conduct negotiations. Even using the assessor’s owners’ addresses was unsuccessful since many owners no longer resided at their recorded addresses. We were able to locate several owners using a reverse address database that identified people by last names, then contacted everyone with the same last name, expecting to reach relatives who might refer information on the owner’s whereabouts. We identified 175 property owners along Tulane Avenue and implemented the plan. We reduced the possible list of locations to several that allowed development from corner to corner and fronting Tulane Avenue. After several unsuccessful attempts to purchase groups of property, Domain took our advice and focussed on the 3001 block. We identified and contacted every property owner, initiated confidential negotiations and were able to get each of the 10 lots under contract. We assisted with re-zoning and financing issues and negotiated several contract extensions at no cost to our client. 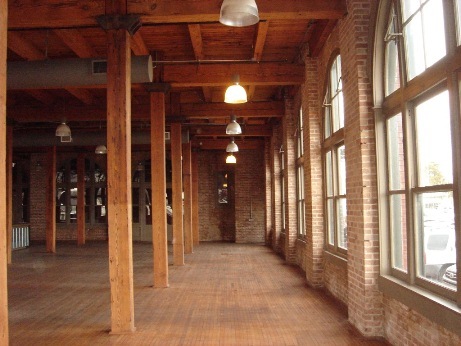 Today the spaces are fully leased to retailers such as Capital One and Subway. The 34,000sf land consist of 20,000sf of parking and 14,000sf retail space that leases for a premium of $20/sf. After Hurricane Katrina in 2005, Shell Oil Company purchased over 100 single family homes and two large apartment developments in order to house employees in the 25,000 population town of Hammond, Louisiana. 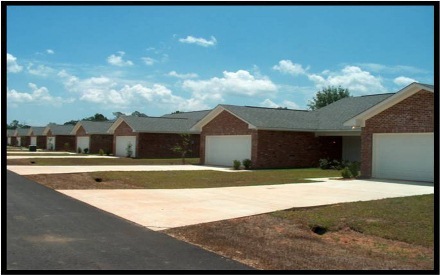 Eastgate Condominiums was a 44 unit property on 9.5 acres and Nicholas Point was a 52 unit Townhome Complex on 5.6 acres. When employees were able to find housing on their own, Shell wanted to dispose of the two large properties without affecting the market and receiving a liquidation price. I prepared a detailed Marketing Plan which included a Media Plan with both local and national advertising advertising and a timeline for each activity until closing. I also prepared a 20 page Marketing Presentation for potential buyers which walked them through a valuation based on the net present value of cash flows from the sale of each unit over time. The Marketing Presentation also included site maps, floor plans, satellite maps, property descriptions, title information and up-to-date aerial photographs which I took from an airplane. I conducted a Sealed Bid Sale which provided the seller with a deadline, and we received 12 offers to purchase properties individually but also offers on both properties. I advised Shell on a strategy to obtain maximum value, and sold both properties for higher than the appraised value within 8 months. Total 138,000sf for $1,881,000. This was the first large land sale after Hurricane Katrina, at a time where there were no buyers of large tracts because there was much uncertainty about the true population. I represented the buyer who wanted to build apartments so my duties encompassed all aspects of the transaction, from identifying the property, researching the name of the property owner, contacting the owner, negotiating the transaction, managing inspections and bringing the property to close. 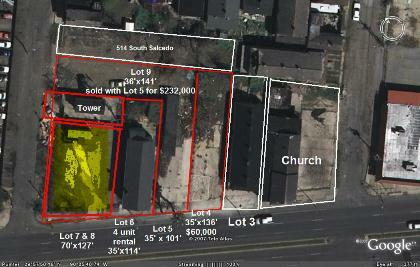 I identified 175 different owners of lots on Tulane Avenue and developed a methodical system for contacting each owner. 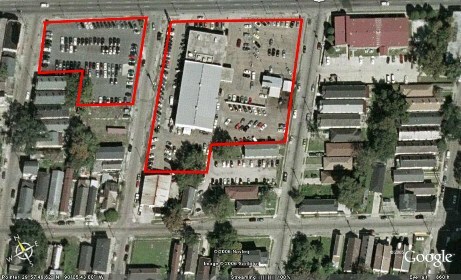 The first acquisition was 3000 Tulane, a 95,000sf vacant Saab dealership. I negotiated a purchase price of $1,060,000 from Volkswagen in March 2006 and closed May 2006. A few months later, property values were twice that amount. 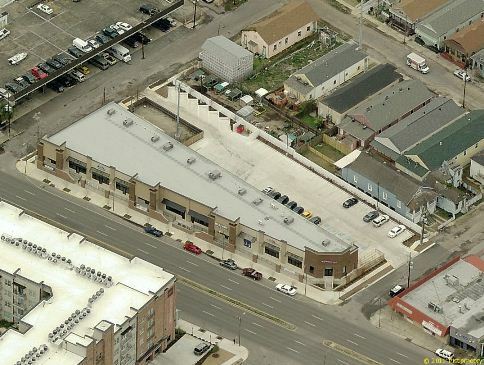 I also negotiated the purchase of the adjacent 43,000sf lot which was complicated because the owner had plans to build a convenience store on the site since it covered almost half the entire block and fronted Tulane corner to corner. I negotiated with the owner to sell for $821,000 in April 2006 and also negotiated two extensions when the developers wanted to stretch out the time, and the sale closed October 2006. 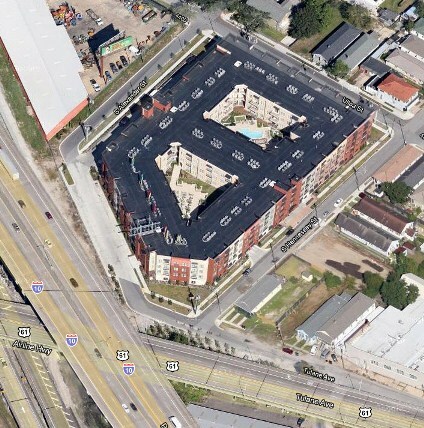 I represented the Provident Realty, who was pursuing large tracts of vacant land in New Orleans for multi-family development. 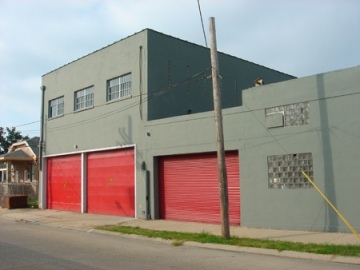 No existing properties for sale were able to be acquired at a feasible price, so I researched all vacant industrial property in New Orleans that exceeded four acres with the idea that we could demolish any warehouse and get the site rezoned from industrial to multi-family. I used satellite mapping software to scout out large sites that appeared abandoned. This property measured six acres, which made it the last large parcel in New Orleans. It was not listed for sale. I helped the buyer explored financing through tax credits and community development block grant funds, and the buyer’s offer of $5.25 million was accepted. I negotiated for weeks on the language of the Purchase Agreement, with the last sticking point being who would be responsible for removing oil drums and ash from a furnace. Neither party would accept responsibility and both parties were adamant. To resolve the issue, I negotiated that I would find a contractor to remove the items and have the buyer reimburse the cost. 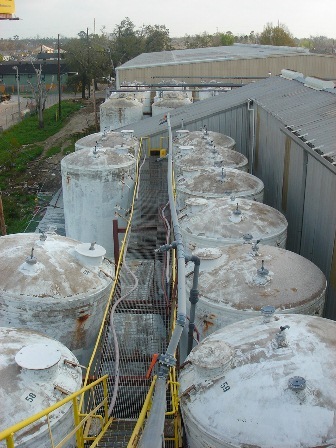 After the Purchase Agreement was executed, the buyer completed a Phase One environmental, which showed signs of contaminants. The buyer’s engineer advised that 3 feet of soil needed to be removed from seven contaminated locations at a cost of up to $500,000, which the seller’s environmental engineer disputed. I arranged for several meetings of the buyer and seller, their attorneys and their environmental engineers, and led the meetings to a successful resolution. I also conducted meetings with both engineers and LDEQ to present a plan of mitigation, which LDEQ finally approved. I also led efforts to get the property re-zoned, including creating and making a PowerPoint presentation to the City Council representative, Stacy Head. I also met with the City Planning Department and other agencies that needed to approve the re-zoning. I also obtained written recommendation of the neighborhood associations which helped increase the score value to obtain Community Block Grant Funds. The Sewerage & Water Board discovered one building was constructed on top of a servitude, so I negotiated with them to resolve the issue. I also resolved an issue of property boundaries with the City Planning Department, after they discovered one piece of the property was sold. All these issues were addressed within 30 days, and the Planning Department approved the rezoning within 4 weeks-a process that normally takes 4 months. Under contract October 16, 2006 and closed July 9, 2007. See before and after pictures below. We represented Landis Construction, one of the largest design-build firms in New Orleans, who had outgrown their leased space and wanted to purchase space for their corporate headquarters. We helped the client develop criteria for the purchase, starting September 9, 2007 and closing on a property July 31, 2008. During the search process, the client’s goals changed from purchasing land to buying an existing structure, and we adapted our activity accordingly and guided the client through each decision. After reviewing all listed properties the client decided none met their criteria, so we looked for properties not currently on the market. We researched databases of property owners and cross-referenced the names with the Secretary of State database to locate property owners, make contact and negotiate a purchase. We helped the client through the pricing decision by using Net Present Value to calculate an offer price for the property, which included some rental income. We helped the buyer work through the building’s historical tax credits by bringing onto our team a knowledgeable tax attorney. 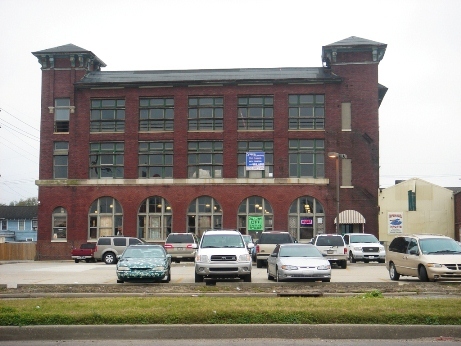 Represented Domain Group in their efforts to develop several apartments around the Tulane Avenue area. 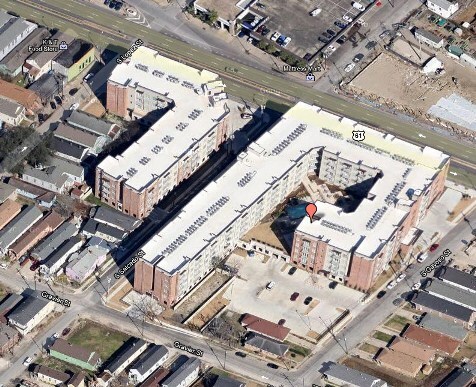 We identified every property owner on Tulane Avenue and Canal Street, then focused on several large sites. We negotiated with Baumer Foods, owner of this Crystal Preserves hot sauce plant. 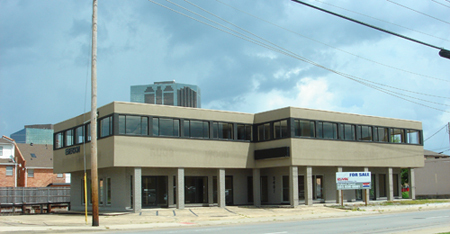 to purchase the 136,000sf site in March 2006 and closed September 2006 for $1,850,000. Demolition bids ranged from $500,000 to $900,000. See the before and after pictures below. 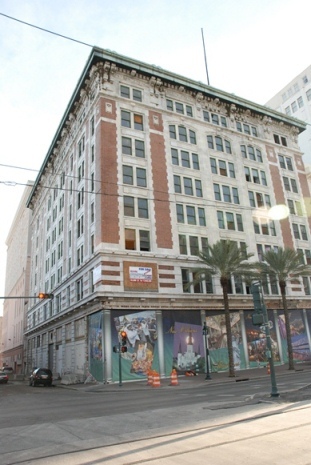 This project involved marketing a vacant, gutted 8 story building with no parking area, located just on the outskirts of the New Orleans French Quarter. 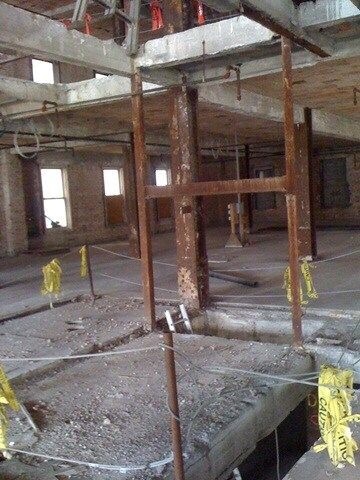 To make the marketing even more difficult, the buyer could not inspect above the first two floors since the stairs were demolished and there was no electricity and the elevator was removed. Latter and Blum marketed the property for one year unsuccessfully. We listed the property for $7,850,000 on July 10, 2009 and closed April 20, 2010, after marketing the property nationally and locally. We implemented a comprehensive nationwide campaign that resulted in several offers within 6 months, including one full price offer. After several months, the buyer was unable to obtain financing so we re-marketed the property and again received several offers, one with a $25,000 non-refundable deposit. We conducted negotiations with the city’s planning department, negotiated contracts, and helped the buyer receive $2 million income from selling Historic Tax Credits, which were obtained with the help of a tax attorney we brought into our team. We also enlisted an architect who previously had completed drawings for a Conrad Hilton Hotel on the site and was able to advise the buyer on the structural condition of the upper floors which were inaccessible. 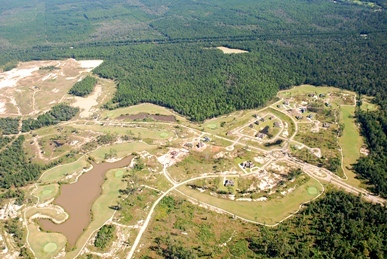 This project involved marketing 600 acre Bedico Creek Golf and Country Club, the largest residential development in Louisiana, which was a failed golf course and country club development, foreclosed on by the seller and in disrepair, in the middle of the deepest real estate recession since the Great Depression. We started marketing the property August 25, 2008 and the sale occurred May 3, 2010. We marketed the site using our Sealed Bid Deadline Strategy and received 45 inquiries and 6 offers. We negotiated through several problems with the highest bidder who required eight extensions due to complications including a revoked wetlands permit. We negotiated several meetings with the Army Corps of Engineers to reinstate the wetlands permit. Meanwhile, the seller, who was a bank that foreclosed on the property, was taken over by the FDIC and our contact at the bank changed three different times. We also assembled a team of Forestry Consultants, Wetlands Consultants, Surveyors and Engineers to provide the buyer with information to move forward. The day before the scheduled closing, the buyer terminated the offer and we immediately remarketed the property and delivered another buyer within two weeks. Sold for within 11 months for 75% of list price. 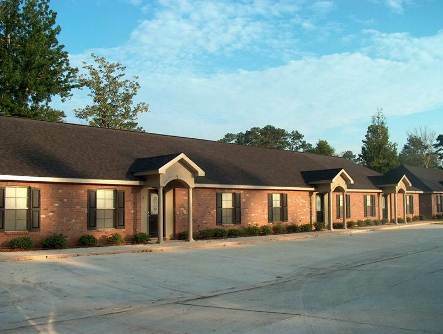 7,900sf two story vacant office building. 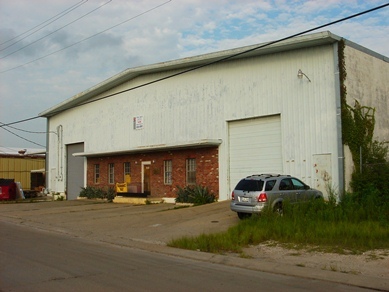 200 Industrial Drive was an 18,000sf warehouse with an adjacent 36,000sf of land. I listed the property June 20, 2007 and closed on October 22, 2007, representing the seller who was relocating his company. In preparing the Marketing Presentation for buyers, I included a special report report from a database only available to brokers with the CCIM designation, which helped spur demand and present the property correctly. 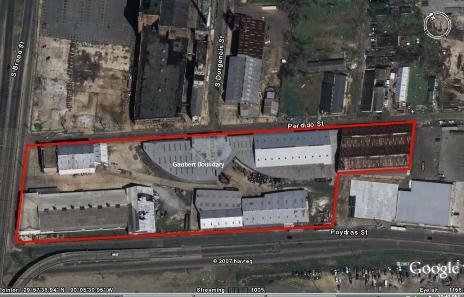 The site was zoned heavy industrial, so I targeted firms which would require that zoning, including recycling firms. We sold the warehouse to an investor and then represented a recycling firm who made an offer for the adjacent land because he required heavy industrial zoning. 26,000sf warehouse with low height clearance making it difficult to use as industrial and only 6 parking spaces made it difficult for retail use. Sold within 18 months.